Ryan Monaghan has built himself an impressive résumé in rowing over the past few years. After graduating from Cornell with a degree in Physics (yeah, he's pretty quick in the classroom too), he moved on to Cambridge, where he was in the stern pair of the Blue Boat in both 2008 and 2009 (the 2009 CUBC VIII had a stern pair made up of two current US National Team members, in Monaghan and Stafford -- coincidentally the first two RR interviewees). Since coming back to the US, Ryan made the move to Oklahoma City, and has taken full advantage of the new facilities developing there. This year, he and another American veteran of Cambridge, Deaglan McEachern, combined to form the US Men's 2-, which battled through a great deal of adversity to place a very respectable 9th in one of the fastest fields in Karapiro this year (remember, this category had the famous combinations of Bond and Murray from NZ, and Triggs-Hodge and Reed of GB). Here, Ryan answers a few questions about his experience of the Boat Race, as well as training for his first trip to the World Championships. RR: You participated in the Boat Race twice, stroking the CUBC Blue Boat in 2008 and sitting in the seven seat in 2009, when you raced with current US teammate Silas Stafford. How did you find training and racing in the UK? RPM: Rowing for CUBC is something I'll always remember. The challenge of taking a full course load at one of the best universities in the world while training full time was beyond difficult, yet one of the most rewarding experiences of my life. Racing for CUBC was unique. I trained with a Kiwi coach, and Australian, Canadian, British, Polish and American senior team rowers. Where else do you get that kind of diversity in rowing styles at such a high level? 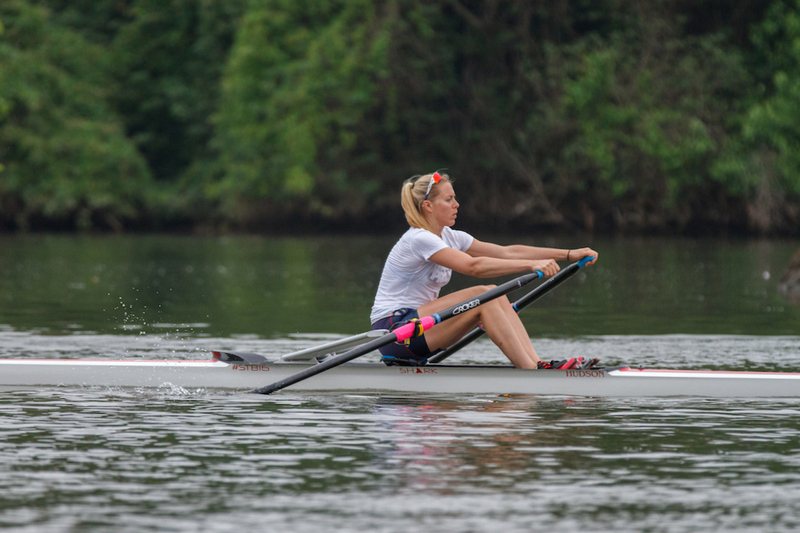 British rowers do like to talk a lot about rowing and the tasks at hand – or as Chris Nilsson would put it, they spend a lot of time faffing – as opposed to the American way of just doing it and getting on with things. And racing on the tideway in London is unique. You’ll have over-your-head waves in one part of the river, and then calm flat water on another part, it’s crazy. RR: The 2011 Boat Race is coming up on March 26th -- do you have any predictions? RR: How would you describe the difference between the Cambridge system and your experience training for the US National Team thus far? Is one more intense than the other? RPM: The obvious is the main difference is in the non-rowing activities. When you're doing a full time job, it is more about completing tasks, it's very concrete... done or not done. There is still a degree of quality to that work, but at Cambridge you're studying and studying and studying and you can never study enough because you can never learn enough and you can never learn it well enough. I would say the outside pressures were higher at Cambridge. You spent more time hunched over a book at a desk. This is not ideal for recovery. While at work a few days a week I can take a long lunch break if my work is all done and go for an hour run to get in a third session for the day, you rarely have that luxury at Cambridge. 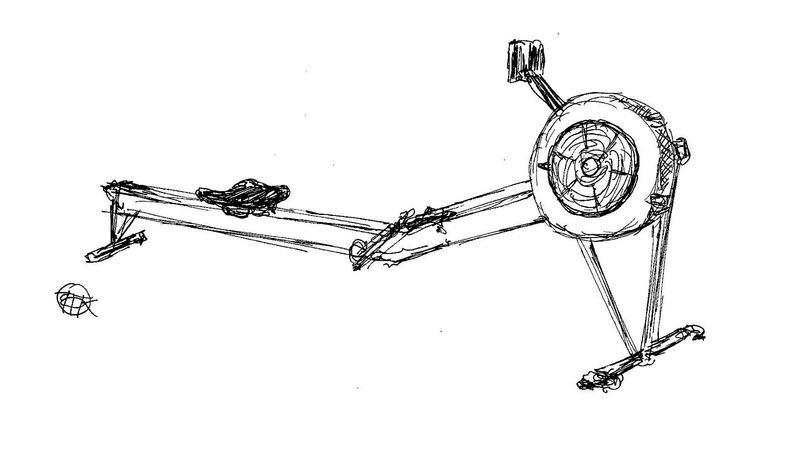 When Chris Nilsson arrived at Cambridge he had us doing a modified NZ training program… we fell to pieces. Injuries and illnesses surmounted and there were days when only two people from the blue boat could erg in the morning. In order to train a full time training schedule you need to be able to recover from your sessions and ideal recovery is not several hours in the library. RR: You recently raced along with former CUBC teammate Deaglan McEachern in the 2- at the World Championships in Karapiro. How did you feel going into your first Worlds, and how did you feel afterward? RPM: I had never been on a US team (not a junior team nor a U23 team) before, but I have raced a lot and I’ve never taken a race lightly, so going somewhere to lay out the fastest 2km I can possibly do was nothing new. It’s actually a great race to just race. All you have to do is row 2000m as fast as you can every time you line up. All the distractions that you’re normally left to deal with were taken care of: plane tickets, bus rides, rides to the course, meals, hotels, etc. It was great; you had a lot less to concern yourself with.This wasn’t the NSRs, we weren’t sleeping on floors and eating at Hoagie Haven when we couldn’t get a ride to a grocery store. And really, once we figured out how to 'acquire' internet access (thanks to Tom Peszek), there was only the rowing to think about. As for the rowing itself, coming into New Zealand Deaglan and I had been really hit or miss. We had days where we were flying and days where we were going backwards. John Parker, Deaglan and I knew that if we got it right we could be deadly. There were good things and bad things to take away from our result. The good is that we were in a position to qualify a pair for the Olympics had it been a pre-Olympic year, I think the coaches have confidence that we can qualify the boat if we find ourselves in the pair this year. The bad is the obvious: we were ninth. I think our result was respectable, but it took us a bit before we held our heads back up. 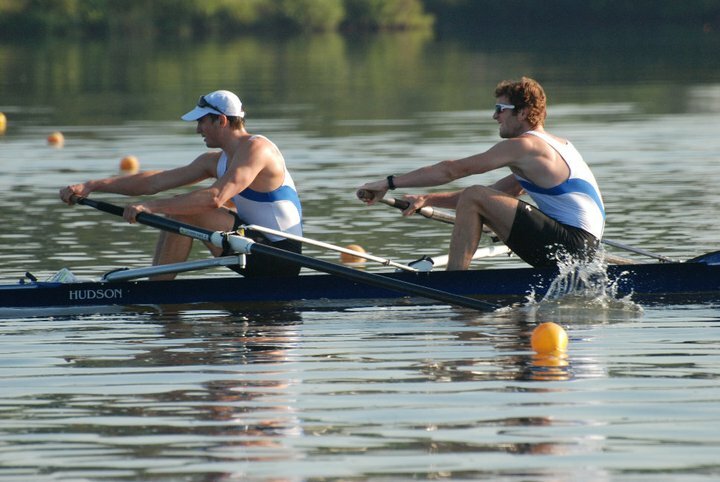 When we found ourselves out of the A final and racing in the B final, we aimed to finish strong and win that. South Africa had their best race of the regatta and they moved out ahead of us. Serbia (a pair that was fourth in Munich) was a pair we felt we were faster than and we were able to sprint through them in the last 600 meters. We were disappointed about losing to Spain (who were in the much-less-windy lane 2). We left it all out there on the course and ninth was where we ended up, so we can only prepare ourselves to be faster next year. RR: What were the major similarities and differences between Chris Nilsson and John Parker? RPM: Chris had been a US coach previously and worked closely with Mike Teti, and John Parker and Teti were pair partners back in the day and remain close friends to this day. Having worked with the same people, there are many similarities in their style. Both of them will drive along side you while rowing and tell you to fix something while continuously saying, "Nope, Nope, not good enough, almost, nope..." for every stroke you take down the whole course. I owe a whole lot to both of these guys for everything they have done for me. I consider myself fortunate to have always been under the guidance of skilled coaches. RR: Did you and Deaglan continue to row in a manner stylistically reflective of your time at CUBC? Or did John Parker have you both adapt your approach to that of Tim McLaren and the current US National Team? RPM: I'd say we are both continuously trying to get better and going through different coaches is like being passed through different sieves. Chris, John, and Tim have their fortes so we benefited from exposure to multiple coaches, I should add that Chris Korzeniowski also gave us pointers and helped us gel together better. 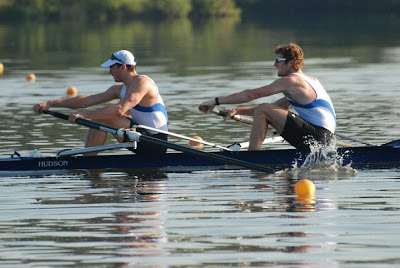 The styles of Tim, John, and Chris Nilsson are very similar in that they’re all about good rowing and moving the boat. All of the coaches coach the whole stroke, but they have slightly different focuses. Chris emphasized blade work a lot; he’d be on you all day to have perfect catches, perfect drive depth and clean finishes. John emphasizes power application and drive mechanics. Tim is renowned for fine tuning your stroke’s subtle imperfections. He is great at ironing out bad habits, enforcing what moves a boat and what slows it down. As for who was coaching us, John was our main coach. However, we could be seen by any coach on any day and they'd have more than enough for us to work on. RR: How long were you in your lineup before Trials? RPM: We did NSR II and III together, and from that we knew we had a reasonably quick combination to work with. Deaglan came over from Cambridge, actually missing some classes to race NSR II with me. Although, most regrettably, he missed a free trip to go race with CUBC in Croatia -- not an easy choice for him. NSR II ended and Deaglan had to return to school. Finals finished up in June for him but with his commitment to race with CUBC at Henley, it was a long while before we rowed together again. After Henley it was another two weeks before we were reunited as a pair. We re-learned how to race together and ended up with a 5th place finish. It wasn’t easy though, there was a day we were headed to the dock after the most miserable row we’ve ever had. Had we reached the dock we instantly would have sought after new partners to race with. Tim and Korzo stopped us, Korzo had us row some circles and then another 500 meters. The next day we had the fastest piece we’ve ever had. We were maybe 30 meters from docking and giving up on that combo – glad we didn’t! Our finish put us in the mix for seat racing, which when all was said and done left us with a week of training before the trials began. We have only rowed once together in the pair since worlds and if we were to race together again there is certainly a lot more room for improvement. RR: Did you feel that the experience of going through the US Trials system helped you as you prepared for the World Championships? RPM: It was good preparation in that we practiced our routine leading into the race, but there isn’t much you can do to prepare to race against the top level pairs in the world, outside of actually racing them, like at the World Cups. We had never raced any of these crews, Charlie and Jake had mixed results in the world cups, and many of the combinations were new. South Africa had a new combo, as did France, Spain was new, etc. The top pairs are just out of this world fast… or rather out of this country fast, but we’re working on that. As for nerves, the World Championships just seemed like another race, in that you wanted to do as best as possible. There were heats, reps, semis, and then the finals. So you had a chance to find your stride and get used to the surroundings. Even on the last day when everyone came to watch, the starting line was still quiet and you hear the typical roar as you close in to the end. If anything prepared us well for racing I’d say it was the Boat Race. There you spend the whole year preparing for a one-off race. No heats, no reps, no second chances. You have no idea the speed of your opponent. There are so many more unknowns. The build up to the BR is unmatched in the way that you have interviews, photo sessions, reporters at the boat house before and after you launch you, press boats following your practices, news paper articles, commercials, banners, billboards, etc. You can’t escape that race in the build up to it. I couldn’t open my email account or Facebook without being inundated with wishful words from friends, family, alumni, long lost acquaintances and strangers. And even during the race itself, you get a chance to deal with more distractions than other races can offer. You’ve got hundreds of thousands of people along the entire bank (a significant portion are drunk and yelling obscenities at you), TV cameras in the boat, millions of television viewers, protest demonstrations at the start (as in 2009), multiple helicopters, a flotilla of following boats, an umpire’s launch dictating where the imaginary race line is (as stroke in 2008 this was something I had to be keyed into), a current that sways the boats in the stake boats, and one other competitor. In many ways this makes other races seem, to a degree, more predictable and much more distant from the outside world. I have no idea how many people, if any other than my parents, watched my heat, semi, or final. Going into the race I knew I could expect NZ, GB, Greece and Italy to be really fast. So really not that stressful of a race. If you’re confident your training program has prepared you for a good performance and you’re confident in your crew mates, it's not that big a deal really. RR: The 'Boathouse District' being developed in Oklahoma looks like a major operation, but many athletes seem reluctant about picking up stakes and moving to a satellite training center. What has your experience of Oklahoma City been like up to this point? RPM: Oklahoma City has been great. The city is incredibly supportive and the local employers are willing to put up with our odd schedule (a big thank you to my employer, Chesapeake Energy). I came back from three months of selection and racing at Worlds and they were incredibly supportive and I was grateful for their flexibility. And sure people are reluctant to move here from Princeton, it’s tough to establish a brand new satellite training center mid quadrennial. OKC was able to pick up those of us stragglers who had nowhere to call home. Most of these athletes are younger and they’re entrenching their lives here now. Many of these guys might not make 2012, but they’ll be major players come 2016. John Parker has helped Mike Knopp (the brainchild of the Boat House district here in OKC) steer the training center to fill the gaps that John himself saw as an athlete. By providing rowers with flexible jobs that are actual careers, not just 'rent-a-rower' type odd jobs, they can have a balanced life of work and training. This allows for better athlete retention. Rowers can only sacrifice a career and dig into debt for so long. If we can keep rowers for an additional quadrennial it will have the equivalent effect as increasing the talent pool of elite rowers, and that can’t hurt. Thanks very much to Ryan for taking the time. Check out the OKC High Performance Center's blog at http://okchighperformance.blogspot.com.